LinkedIn has retained its premium position being the most sought professional’s community. Although the way other social media channels have evolved with respect to advertising options, LinkedIn was kind of slow. And now LinkedIn has brought up something very exciting and which will make marketers work easy. All these three tools are used to reach out to the more people to expand the business. These tools make it easy to find out people and companies who might be interested to work with you. LinkedIn’s this feature is some way to the similar Facebook’s custom audience and Twitter’s tailored audience which is very well familiar to the marketers.And retargeting is similar to AdWords remarketing or Facebook’s retargeting options. 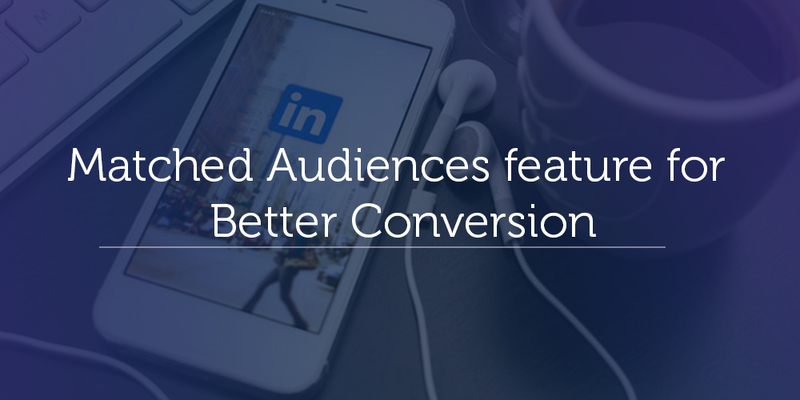 LinkedIn has made Matched Audiences available for all of LinkedIn’s ad formats. How can you use Matched Audiences for your business? Here’s the answer. LinkedIn’s new feature: for better conversion. Using Matched Audience website retargeting you can get in touch with the people who have visited your website through LinkedIn. LinkedIn allows access to this data when you install “LinkedIn insight tag” in your website. Lead generation could not have been easier than this! LinkedIn reported that, on average, advertisers in the pilot program saw 30 percent higher click-through rates (CTRs) and 14 percent lower costs-per-conversion. Create audience to retarget: Here you can retarget your website visitors by adding up the required information in campaign manager. Let the audience build up: Once you are done with above simple steps. Your audience will be built up as the members visit your website. With the help of contact targeting, you can finally make use of large consumer data efficiently. Contact targeting allows you to connect with your own contacts effortlessly. It gives you a secure way to upload a CSV list email addresses (up to 30,000) from your own database. Or you can directly connect to Marketo, Oracle Eloqua, LiveRamp platforms to import a list of contacts. This will ensure generating more prospects and conversions.LinkedIn stated that, on an average, advertisers in the pilot program saw 37 percent higher CTRs. Upload the email list: Here you need to upload the email list of your customers. In Campaign Manager, click on Create an audience and choose Match based on a list of email contacts. Upload your file and click on next. Integrate with your contact management platform: Connect with the CRM platform. On targeting page, click on Tools, and select Matched Audiences. And then Uploaded list audiences tab and click the Connect to data integration tab. With Account targeting, you can target up to 300,000 companies on LinkedIn. LinkedIn will match your imported list against 8 million company pages. But, you can do it only through LinkedIn sales team; it has not allowed self-service ads. LinkedIn stated that, on an average, advertisers in the pilot program saw 32 percent increase in conversion rates and 4.7 percent lower costs-per-conversion. Create your account list: Create a CSV file with a single column “company name” as the first row. Upload the list: Set up account targeting. On audience targeting page in campaign manager click on Create an audience.Select Match based on a list of accounts. Upload your file, and click Next. 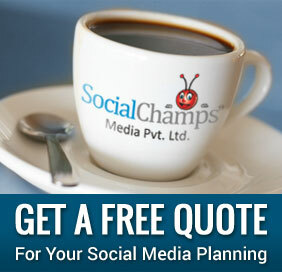 It has been always challenging for a business to business marketers to reach out to the target audience. But LinkedIn’s this product it has become less tedious for them to connect with people and convert them into customers. Business to business marketers can efficiently use their own data here. You don’t need to get data from any other source. Here, you have an exposure to use your own set of information effectively and it will purely result oriented. LinkedIn’s Eva Chau, the senior product manager, said. Website Retargeting yielded a 30 percent increase in click-through rates and a 14 percent drop in post click per cost conversion. Account Targeting resulted in a 32 percent increase in post click conversion rates and a 4.7 drop in post click per cost conversion. Contact Targeting upped CTRs by 37 percent. We will surely share our experience & case studies of how Matched Audience is used by our clients; meanwhile, I would love to hear your thoughts on this.